After about a year of travelling I decided that I’d never get married. Why would I want to get married? I was free, could go wherever I liked, do whatever I liked with whomever I liked. I didn’t have to commit to anything or think too much about someone else. I didn’t have to make more money than I needed to provide for my very sparse necessities. Responsibility. Even just the word made me feel drained. My thought was - Who needs it? It only served to hold you down, to spoil the party. Job, marriage, and - worst of all - kids. Always whining and crying and demanding time, energy, and attention. And then when they're older, teenagers are a total nightmare. Who needed it? On my journey through life, "responsibility" has been something that I have variously laughed at, dealt with, frowned at, been free from, run away from and, much more recently in my ‘wise old age’ come to greatly cherish and respect. When you've been 'on the road' long enough you the experiences that excited you start to blur together and the characters become the same. 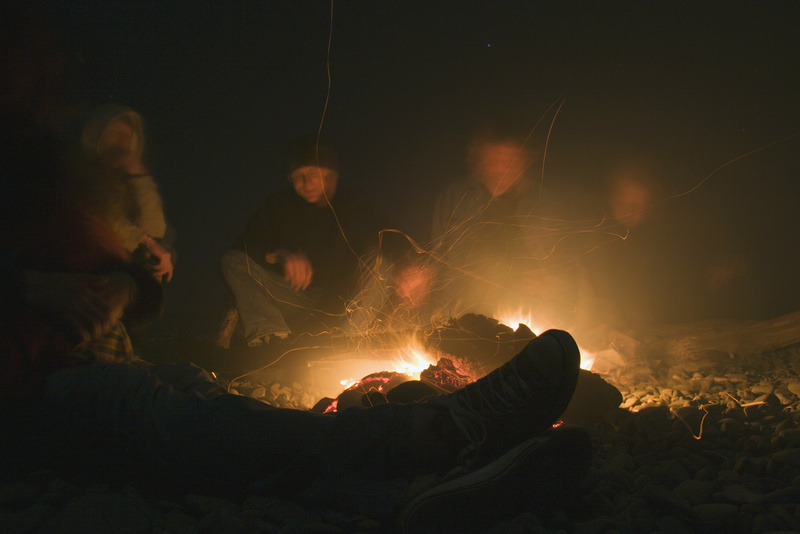 You sit around enough fires on enough beaches, having the same ‘deep’ conversations with the same ‘authentic searchers,’ wearing the same collarless, thin white cotton t-shirts and baggy fisherman pants, chugging the same tasting half-cold local beer. You also start to notice that one 48 year old man, skin leathery and tanned from years of sitting on beaches throughout the world, playing the same 5 Bob Marley songs that he’s practiced on the guitar since 1979, plus Lean On Me and, if he’s a little more advanced, Wonderwall. He's gathered an audience, regaling the young travelers on their year off before college, or after the army, with incredible stories of his experiences canoeing down the amazon and hiking in the Himalayas, the years he was a scuba instructor in Borneo and the time he came face to face with a king cobra in the Thai jungle. No matter where you go on 'the backpacker trail,' if you look for long enough, you'll see this guy everywhere. Yet, if you have really sensitive eyes, you can see beneath it all just how sad and lonely and unsatisfying his life really is. How he needs to keep moving on to the next adventure or feel validated through retelling his old stories. You see, lack of responsibility, lack of purpose, creates lack of depth, lack of meaning. Depth and meaning. Without responsibilities, it's so easy to fall into a superficial life, a life centered around the small sphere of your self and your personal needs. It’s only with responsibility that we can really grow and mature, that we can dig deep to reveal our inner strengths and ultimate values. It’s only through responsibility that we can uncover and learn about new parts of ourselves. Me the husband, Me the teacher, Me the father. Wow. I imagine now if I never got to know "me" the father? How much less of a human being I would have been. The Torah teaches us ‘Al Ta’amod Al Dam Reicha’ – you are obligated to help those in need. You have a responsibility to the world around you. Tzedakah does not mean charity, it’s not just an act of good will and generosity, it means justice – it is the right thing to do, it’s our responsibility and obligation. Our responsibilities are not our burdens, but rather our opportunities to elevate ourselves. Why? Because it’s only through taking responsibility for your life and the lives of those around you that you can become the best person you can be, that you have something really worth fighting for, that you reveal the deepest parts of yourself, and that you start playing a part in our collective goal, our collective responsibility, to make the world a better place.